34 year old Dean holds the Uefa B licence and enters his 4th season at the club having initially joined as Assistant Manager. Having finished as Runners Up in the Cheshire Women’s League Division 1 in his first season as Manager, his side went one better winning the league last season along with securing the double by winning the Cheshire Women’s League Challenge Cup. His side also reached the Cheshire Women’s County Cup for the first time in their short history. Dean has experience coaching at grassroots level with various age groups along with coaching the current Chester University Women’s team. 25 year old Adam enters his third season at the club and holds the FA Level 2 coaching badge along with his FA Level 2 Goalkeeping badge. Currently on his Uefa B licence course, Adam has experience coaching at grassroots level along with coaching the current Chester University Women’s team. Adam also works for the Chester FC Community Trust. 22 year old Callum joins the club from Poulton Victoria Youth where he has been coaching for the past two seasons. Callum brings with him a background in sports psychology, nutrition and sports massage and is a welcome addition to the established management setup. 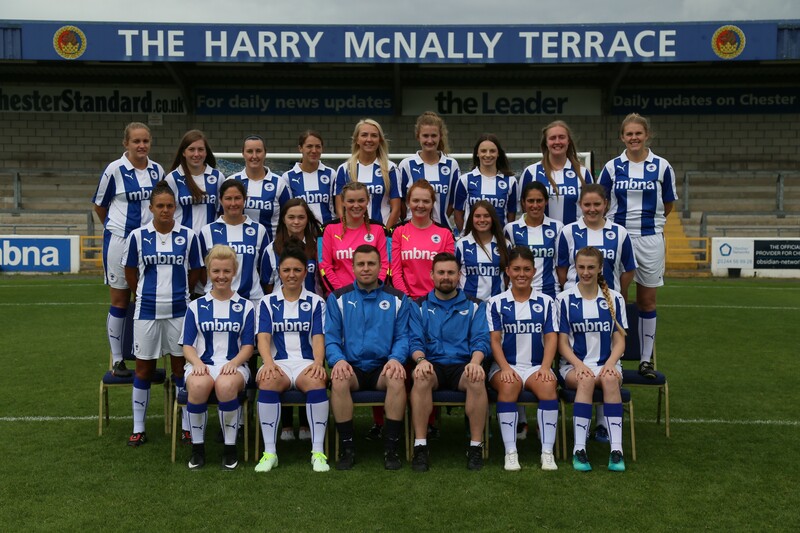 CLICK HERE for all the latest results, fixtures and the league table for Chester FC Women.